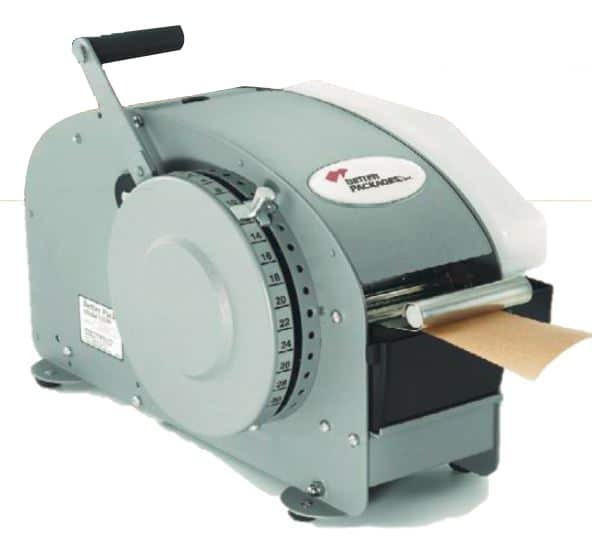 The Better Pack 333 product line is the world’s #1 selling manual water-activated tape dispenser in the industry. This dispenser is perfect for light-to medium-volume packaging areas and accommodates both reinforced or non-reinforced water-activated tape. It is available as a non-electrical unit and also with an optional top heater accessory, (electricity required) when increased tape adhesion is needed. Al Thika Packaging is the exclusive distributor of Better Packages in the Middle East. Since 1994 Al Thika Packaging has been supplying carton sealing equipment, manual taper dispenser, gummed tape dispenser and automatic water activated tape dispenser for the food and non-food industries in Dubai, Abu Dhabi, Sharjah, Fujairah, Ras Al Khaimah, Ajman, Umm Al Quwain, Al Ain – UAE, Saudi Arabia, Bahrain, Pakistan, Oman and the many other Gulf countries.